The lifter 50 type B is a modified Aardwolf lifter 50. Note: the danger of using any lifter for lowering panels into place on multi-story buildings is that the load can be lowered onto scaffolding or become fouled by some other obstruction, which could cause the lifter to lose its load. 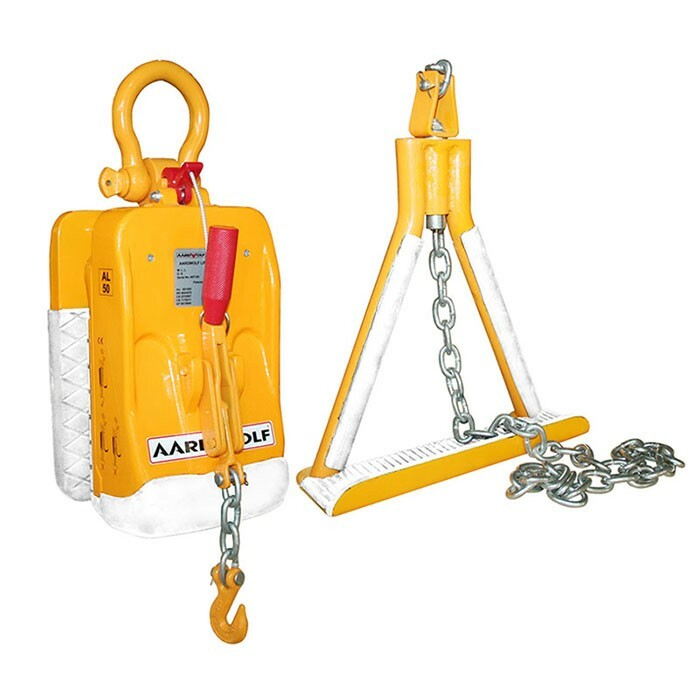 The over-centre leaver and support bracket are designed to be used with the lifter 50 type B, which prevent the lifter from dropping its load in such an event.